We include a basic tool set in the tuition, because we wanted to make sure our students were ready to start working when they graduated. 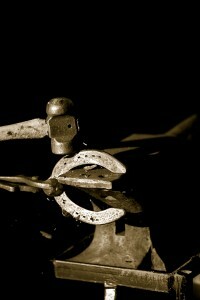 We think you’ll enjoy starting out working with your own tools during your time Arkansas Horseshoeing School. We make sure that the tools we give you will be right for you.